Jean Piaget, a pioneer of 20th-century cognitive development theory, claimed that preschoolers were “irrational, illogical … and limited to the here and now.” But nearly 100 years later, new technologies and approaches have provided cognitive scientists new ways to investigate how infants and young children learn; their findings challenge Piaget’s longstanding theories of early childhood cognitive development. 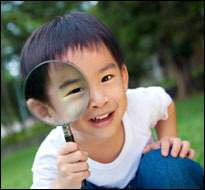 A 2012 review article from the University of California, Berkeley, published in Science, “Scientific Thinking in Young Children: Theoretical Advances, Empirical Research and Policy Implications,” offers an overview of recent developments in the field of child development and cognition. The article highlights several studies conducted in the last 20 years that collectively demonstrate the importance of unstructured explorations and play that aid young children in developing and testing theories about their environments. These advances were made possible in part by the integration of technology to assist in data capture and analysis. This review article, by cognitive scientist Dr. Alison Gopnik, indirectly challenges the contemporary trend of eliminating traditional kindergarten’s play-based, creative structures in favor of improving students’ reading, math, and writing skills at increasingly earlier ages, in theory to better prepare young learners for the impending rigors of formal schooling. Infants and young children can detect statistical patterns around them and then use these patterns to reinterpret their environments. For example, infants signaled surprise when an experimenter removed mostly red ping pong balls from a box containing mostly white balls, and were also able to determine which combination of blocks activated a music box. In one experiment, preschool-aged children were able to distinguish between causality (i.e., a button that activates A, which then activates B), “common cause structures” (i.e., one button that activates both A and B), and conjuctive cause structure (i.e., both the button and A are needed to activate B). Children also learn by watching and engaging with others, and are sensitive to others’ intentions. Researchers have been able to better assess the mental models of infants and young children by using applying “probabilistic model” which allows for the inclusion of probability variables into conceptual frameworks. Citation: Gopnik, Alison. "Scientific Thinking in Young Children: Theoretical Advances, Empirical Research, and Policy Implications." Science, September 2012, Vol. 337, No. 6102, 1623-1627. doi: 10.1126/science.1223416.